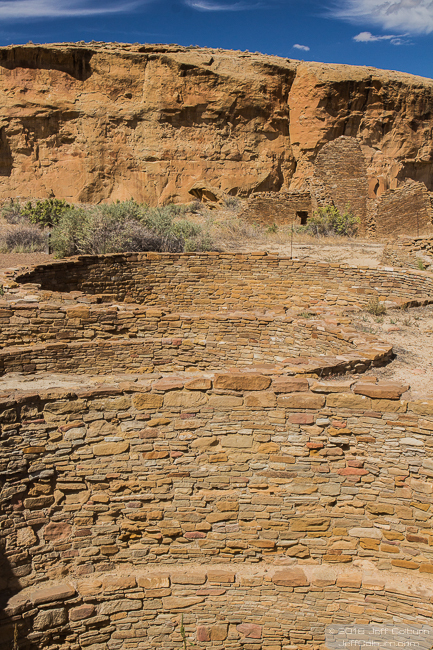 The Chaco Culture Park (https://www.nps.gov/chcu/index.htm) is amazing. Not only are the ruins in very good condition, but you can walk around in them. 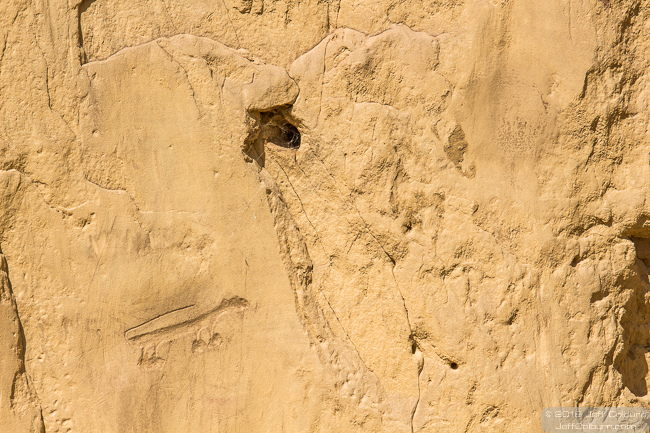 And there are several places where you can see petroglyphs and pictographs. I love to photograph these ancient expressions of art and life. You do need to be prepared for the drive. After you leave the highway you will drive many miles on an asphalt road, then six miles (9.7 kilometers) on a washboard gravel road then four miles (6.4 kilometers) on a washboard dirt road. If you drive slowly on a washboard road, you will feel all of the bumps, but you have more control over your car. Drive fast, and the ride is much smoother, but you have less control. You decide which will work best for you. Instead of trying to see everything, we spent most of our day exploring three main ruins, Hungo Pavi, Chetro Ketl and Pueblo Bonito. We drove from Hungo Pavi to Chetro Ketl, then walked about 1/4 mile (0.4 kilometer) to Pueblo Bonito. It’s an easy walk from Chetro Ketl to Pueblo Bonito. We spent about an hour at Hungo Pavi, and a couple hours at Chetro Ketl. We explored the buildings, kivas, and examined how walls, doorways and windows were built. These pueblos were made with rocks that range in size from a Styrofoam cooler to a Wheat Thins cracker. All of these rocks were carried and laid by hand. They also had to prepare the ground for building, mix the adobe to hold everything together, make and apply plaster to cover the walls, and then decorate the walls with paint. The time and effort that went into creating a pueblo like this is almost unimaginable. We left here and walked along the trail at the cliff face toward Pueblo Bonito. Keep an eye out, both high and low, on the cliff face for petroglyphs. There are several, and they include a cowboy on horseback and a lizard that looks like a freaky wiener dog. You can reach Pueblo Bonito in less than 15 minutes, unless you take pictures of the petroglyphs like I did. Then it takes 45 minutes, or more. Use a long lens to get good close-ups of the petroglyphs. Pueblo Bonito is truly amazing. It’s bigger than Khetro Ketl, and in better shape. You can also walk into many more rooms than in Khetro Ketl. We spent several hours here. As I mentioned in my article on the Aztec Ruins http://www.thecreativescorner.com/jeffs-new-mexico-adventures-aztec-ruins/ there are areas in Pueblo Bonito with lots of small doors. My thighs were still recovering from the Aztec Ruins, so I walked around to the outside of this area. My wife, Linda-Ann, went through the structure, and said there were about 15 small doorways. If I had tried to go through there, I would have been stuck inside for the rest of my life, or at least until my thighs recovered. A small portion of the site has been damaged by huge boulders that fell off the cliff face and onto the ruins in 1941. Imagine the damage numerous house-sized boulders could do to any structure. There is so much to see here that we could have easily spent all day at Pueblo Bonito, but we didn’t. We drove to the Casa Rinconada Community. Here you walk on a dirt trail to several small structures, and one large kiva. Most of these buildings are in pretty sad shape, but the kiva is in very good condition. Twenty minutes of walking will get you around the trail and back to the parking lot. This is a rare corner window at Pueblo Bonito. These windows were used for astronomical observation, and this one determined when the winter solstice arrived. One of the many amazing engineering feats we discovered is that the Native Americans made roads that connected the pueblo communities. These roads were 30 feet (9.1 meters) wide. When the road crew came to a cliff, they would create dirt ramps and cut stairways into the cliff for people to use. You can see two sets of these stairways high on the cliffs North East of Chetro Ketl and East of the Casa Rinconada Community parking lot. If you’re driving around Chaco near sunset, watch out for elk. We came across a small herd that was in a field next to the road. They were a little skittish, but we got some good cell phone photos. I strongly suggest the you keep your distance as they are wild animals. Even with the poor road, I highly recommend that you visit the Chaco Culture National Historical Park. Here are some of the many kivas at Chetro Ketl. A kiva is a room used by Puebloans for religious rituals and meetings. +This is the Oak Tree House at Mesa Verde in Colorado. 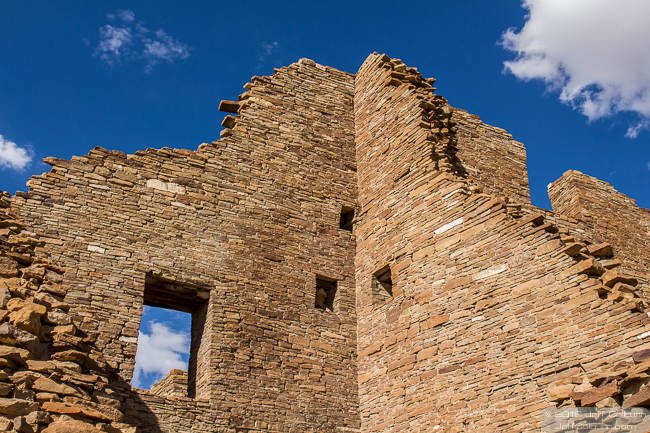 As you drive from overlook to overlook, you will see many different pueblos. Some are large with many buildings, while others are small. The condition of the buildings varies too, with some looking like people are living in them, while others have missing walls. If you are interested in Native Americans, ancient cultures or geology, I strongly suggest that you visit Mesa Verde. 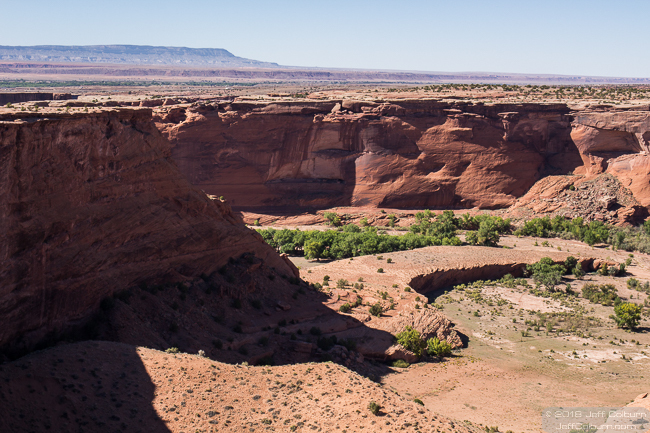 This is a view from one of the overlooks at Canyon de Chelly, Arizona. 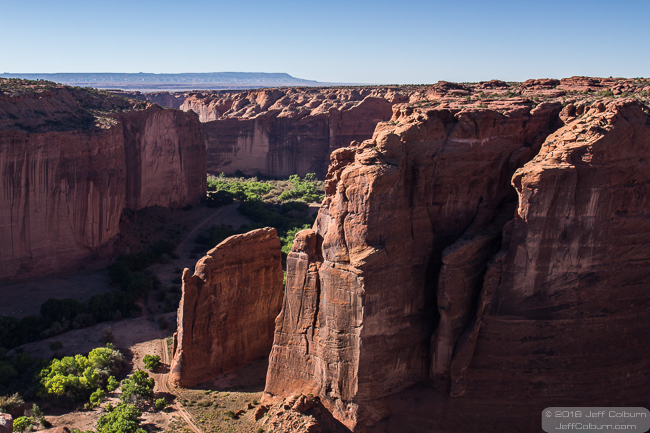 If you like geology, you will love Canyon de Chelly. Here’s part of Pueblo Bonito, at Chaco Canyon, New Mexico. Realize that each one of these stones, and many more, were carried to the site to build all their buildings. Pueblo Bonito is the largest great house in Chaco Culture National Historical Park and was built by the Ancestral Puebloans between 828 A.D. and 1126 A.D. 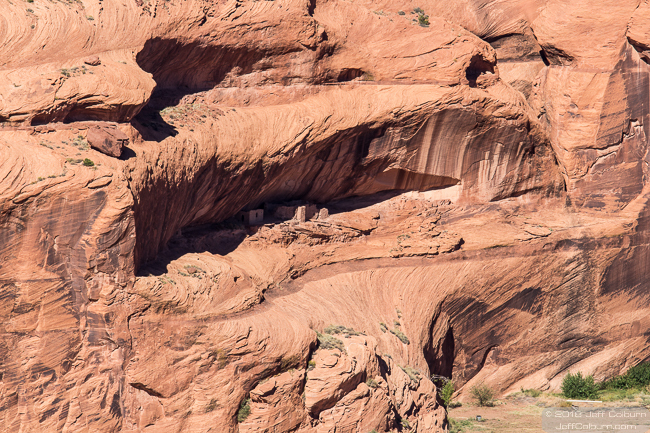 If you look in the alcove in this cliff you’ll see the Sliding House Ruin that’s at Canyon De Chelly, Arizona. It’s called the Sliding House Ruin, because, yes, it started slowly sliding after it was built on the sloping ledge. You can hike to the ruins, and get pretty close to them. Sixteen photo sites have been hacked. Over 600,000,000 users have had their Account information stolen, and that information is being offered for sale on the Dark Web. Was your account one of them? If you would like me to write an article on staying safe online, leave a comment. I’ve been using computers for over 35 years, and worked as a computer specialist at several companies. I know stuff. Here’s one of the buildings at the Aztec Pueblo in New Mexico. The logs sticking out of the wall would have supported the floor on the second story of the building. Because of the condition of the building, there’s no way to tell if it had a third floor. 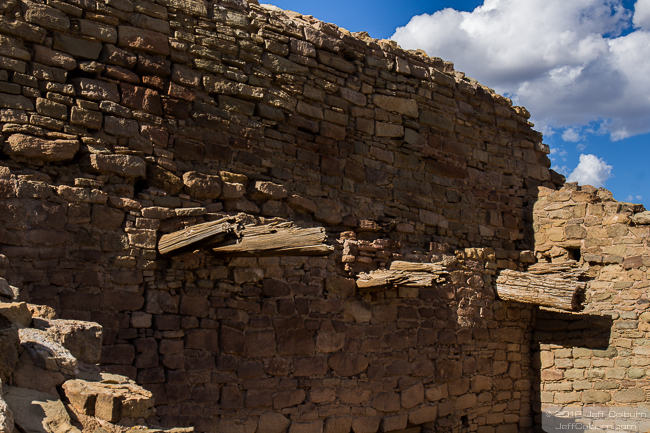 Three story buildings existed at many pueblos. 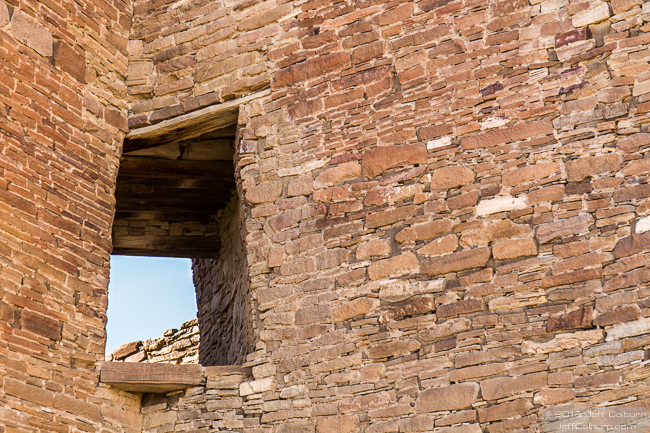 This photo shows a rare corner window at Pueblo Bonito, which is in Chaco Canyon, New Mexico. There are only seven such windows in the entire 650 rooms at Pueblo Bonito. These windows were used for astronomical observation, and this one determined when the winter solstice arrived. If you want to know what prehistoric cultures knew about the night sky, do a search for Archaeoastronomy. Check out my article and you may find your next travel destination. 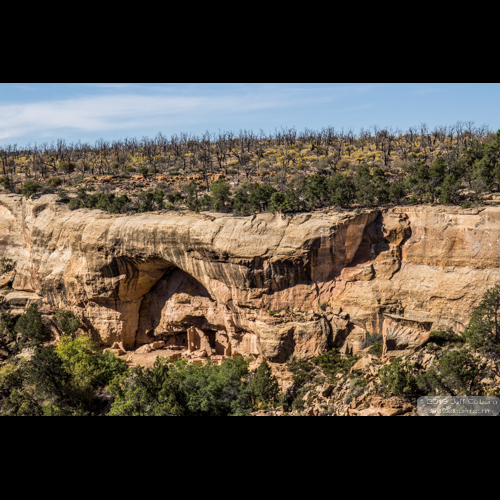 While there are Native American ruins to be seen from overlooks, and guided tours that can take you to them, this National Monument (https://www.nps.gov/cach/index.htm) is really a geological site. The rock formations are amazing. We went on the South Rim Drive, which offers better lighting in the afternoon and has seven overlooks. The North Rim Drive has better lighting before noon and has three overlooks. If you want to get close shots of the ruins, without hiking down to them, you will probably need a 300mm-400mm lens, or a 2x teleconverter on a 200mm lens. 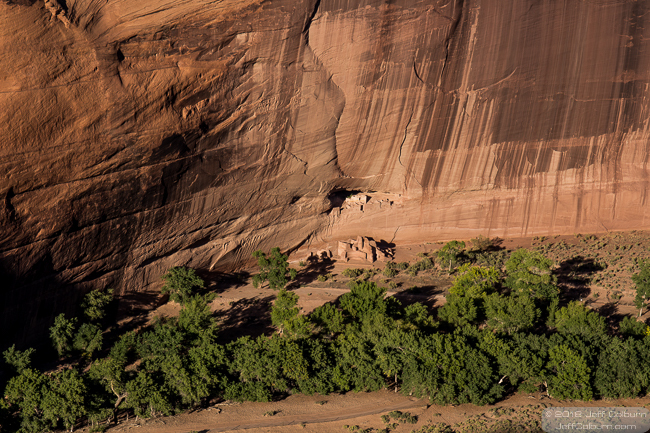 Canyon de Chelly has had people living there for almost 5,000 years. 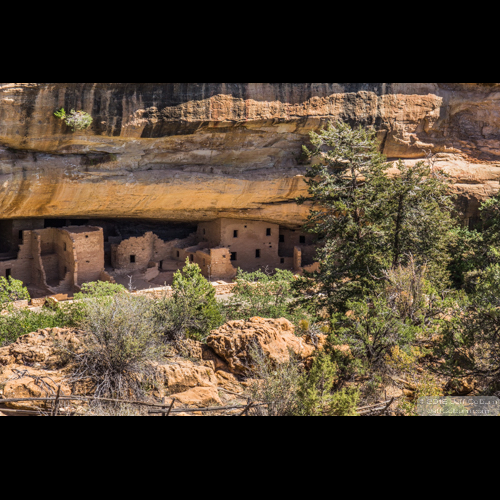 The people we call Native Americans lived here about the same time as they did elsewhere in the Four Corners region, between the late 1000’s A.D. and early 1200’s A.D. Most of the people had moved out of the area by the mid-1300’s A.D.
As we drove on South Rim Drive, we discovered several overlooks that became our favorites. Junction Overlook – Here you look deep into the canyon where you see two different ruins. One to the right and one to the left. White House Overlook – You have to walk over a rocky area that’s a little rough to get to the overlook, but you’re rewarded with great views of the canyon, and the ruins. There is a ruin on the canyon floor and another above it in an alcove. The pueblo on the canyon floor used to be high enough to reach the ruins in the alcove. It’s called White House because of the white plastered walls in a room in the alcove. This is the only ruin you can walk to without a guide. Spider Rock Overlook – As you walk toward the overlook, you are looking 1,000 feet (305 meters) down into the canyon. The first thing you will notice is Spider Rock, an 800 foot (244 meters) tall column of stone. This rock was of special interest to my wife, Linda-Ann. The Navajo believe that Spider Woman taught them how to weave, and Linda-Ann is a weaver. Spider Woman is supposed to live at Spider Rock. You can see several pueblo ruins from the overlook and a ruin at the base of Spider Rock. Canyon de Chelly is a nice combination of geology and ruins, and well worth a visit.